Pretty simple, not much to see here. Very annoying music. Nice logo by Spiral (R.I.P). Very cool logo!! The bars are not matching very well here, thou. 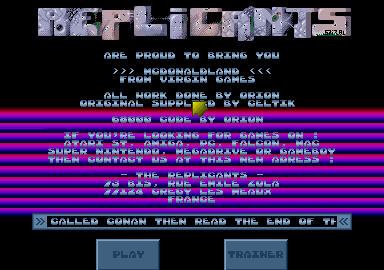 Nice fonts from C64 and Amiga Protracker arrow sprite =). page created in 0.013601 seconds with 15 queries.